Fire Lane Drive is right off of Allouez Avenue in Bellevue, not far from Target and The Rite Place. Do I need to be home for H AND S LLC to come to do an estimate? No you do not need to be home. We will always knock on the door and let you know we have arrived. If no one is home, we will proceed the roof. We are always in an H and S clearly marked vehicle. If you prefer, we can set up an appointment time at our office or at your home. How long does the roof installation take? 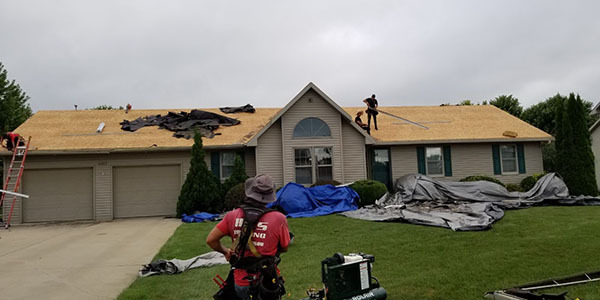 Typically, 1-2 days is the duration of a roofing project. It does depend on the size of the project. Bad Weather can change or postpone your project, but we will always keep you informed of changes, as weather can be very unpredictable. 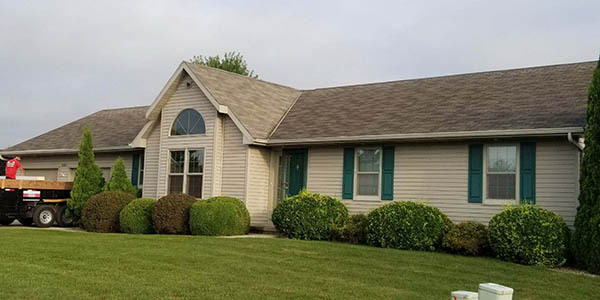 If you have contracted gutters, downspouts and/or gutter covers with H AND S LLC, they will typically be done between 2-3 days after roof completion. Yes, we can offer available financing options. Do we need to be home for the project date? 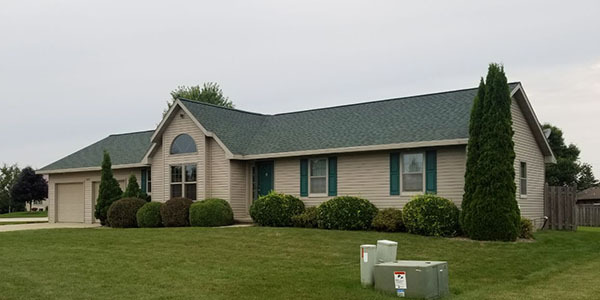 You do not need to be home for your roofing project, unless a B-vent installation is taking place as which point our heating and cooling specialist would need access to your home. Our office will bill you when the project is complete; payments in full are due 30 days from the invoice date. All past due amounts are subject to a service charge at the rate of 1.5% per month. We appreciate your prompt payment. H AND S LLC is fully licensed and insured and will provide you with this documentation when we present you the estimate. Do I need to prepare my home before my roof project begins? Remove any valuable items from the perimeter of your home. Crews will start between 7-8 am and work until dark if necessary to complete your project in 1 day if possible. Cover all valuables if unable to move them. It will be noisy, some people decide not to be home & take their pets with them as they can be frightened. Lock up as normal when leaving your home. Make sure driveway clear of vehicles, boats and trailers as we will need that space for the dump trailer. Once a Contract is signed, when can I expect a project date? 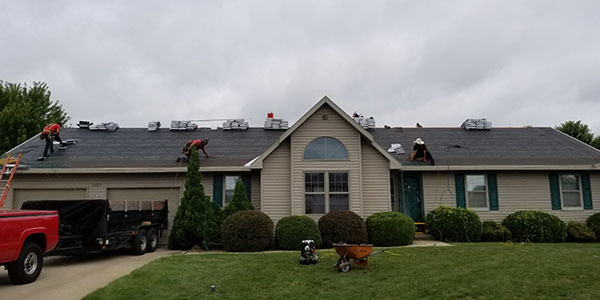 After shingle brand and color are selected, we scheduled jobs on a first signed contract basis. We do our best to accommodate requested dates. All scheduling is weather dependent. When I need help with Shingle Brand and Color Selection? We have a full time office staff with a full showroom selection of brand and colors with staffing to assist with selection.